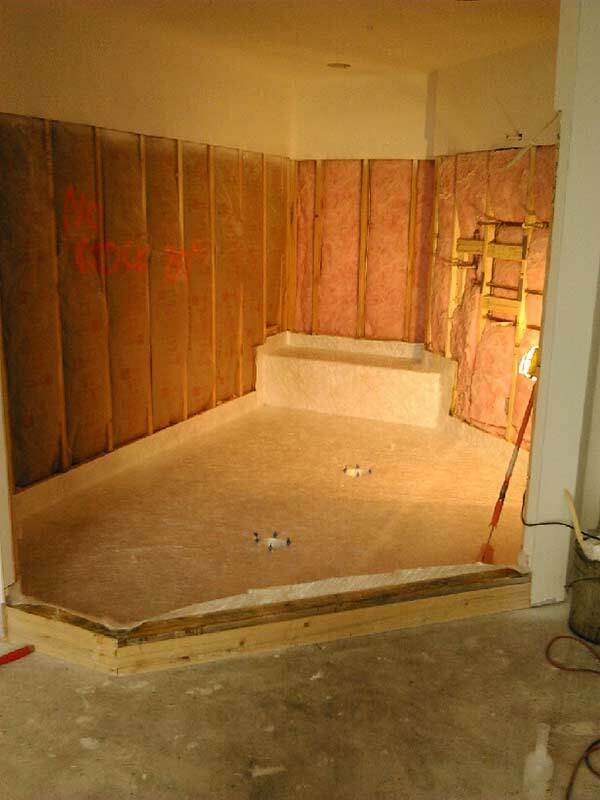 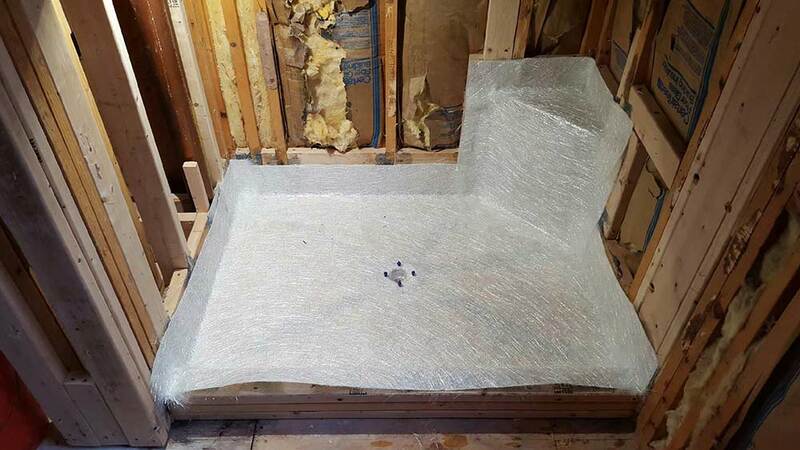 Fiberglass shower pans are seamless waterproof membranes that are fabricated on-site. Their hard surface provides a lasting waterproof barrier. 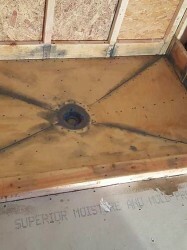 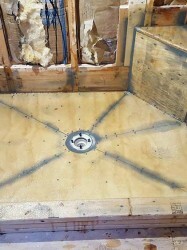 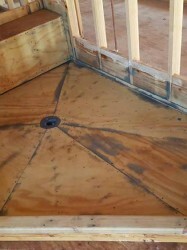 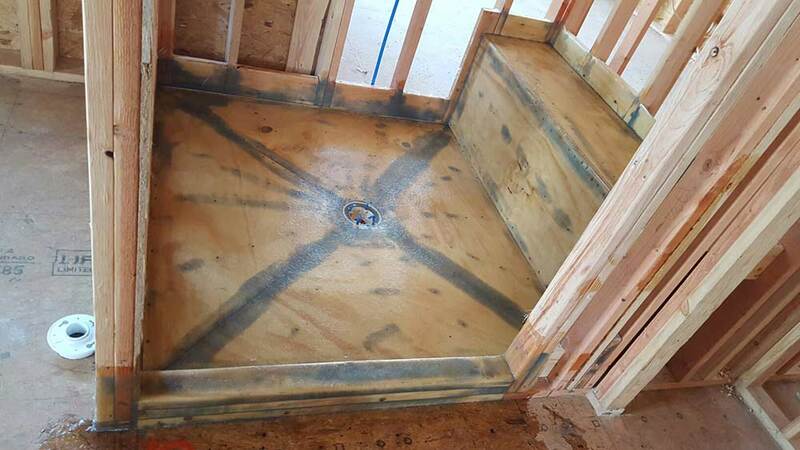 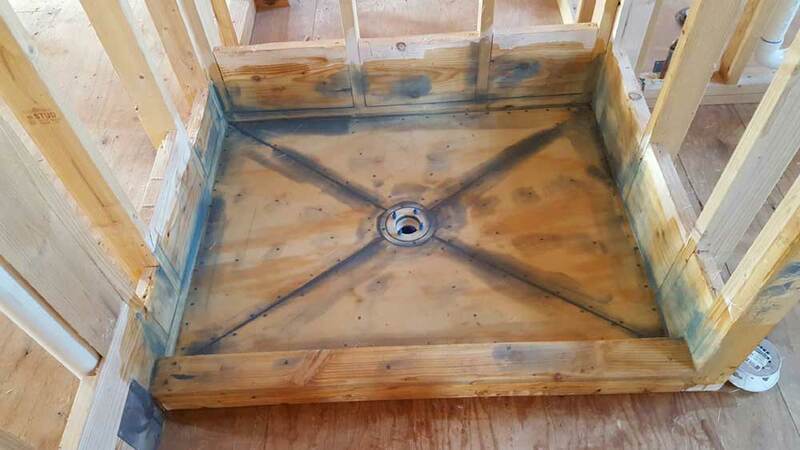 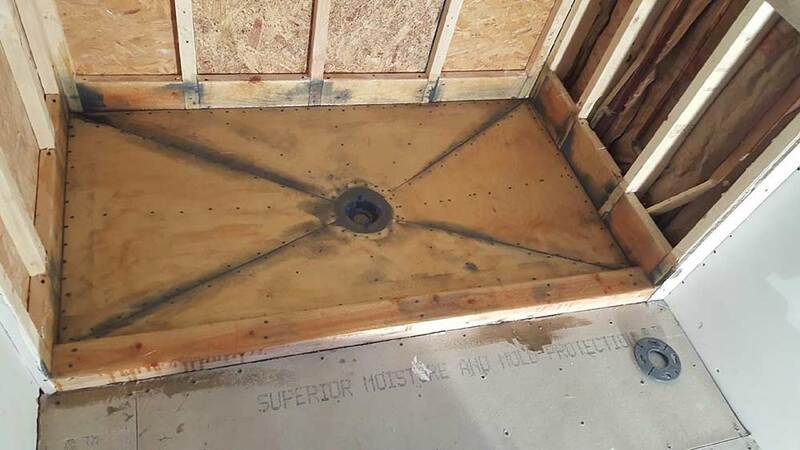 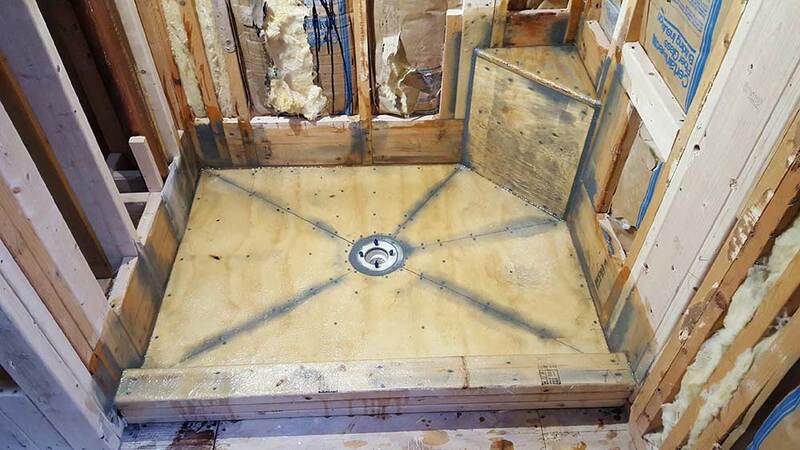 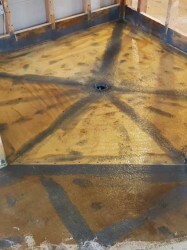 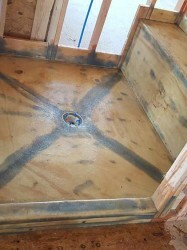 We offer curbless fiberglass shower pans that can be custom made according to any builder or homeowner’s specifications. Our shower pans can be designed for residential bathrooms as well as commercial bathrooms, providing safe and comfortable bathing options. 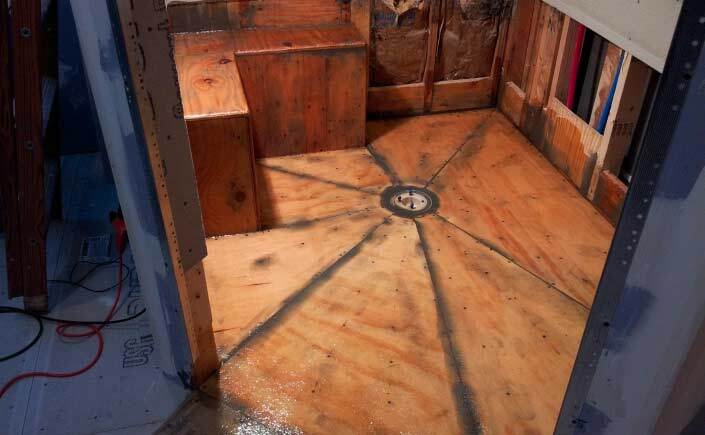 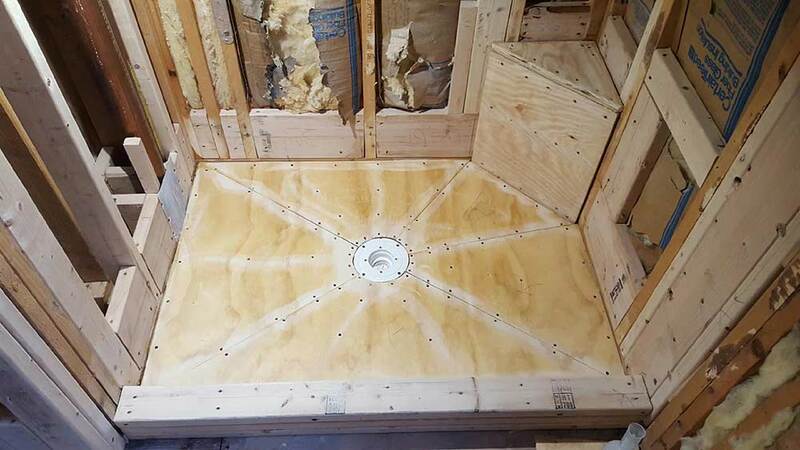 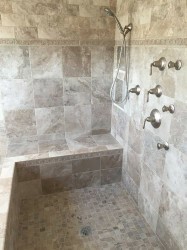 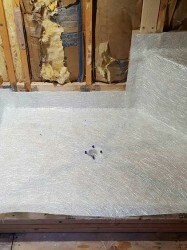 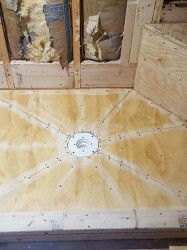 Fiberglass shower liners can be a basic shower pan installation or they can be made very elaborate with shower niches to hold toiletries and can be made with built-in bench seats. 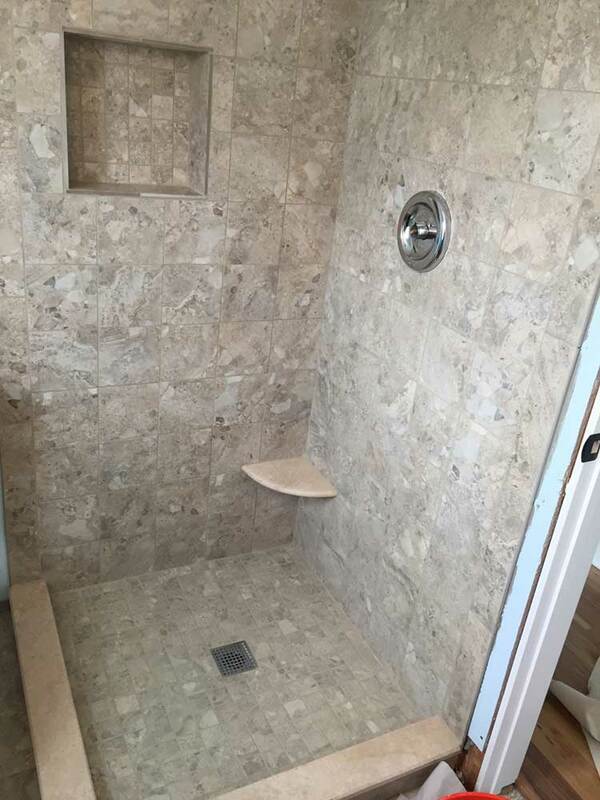 Walk-in showers invite bathers to sit down and unwind. 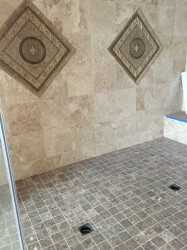 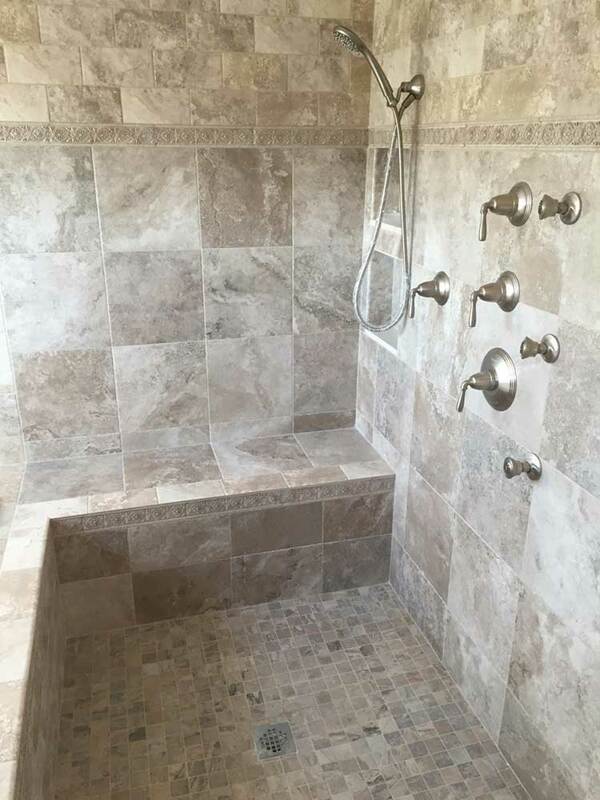 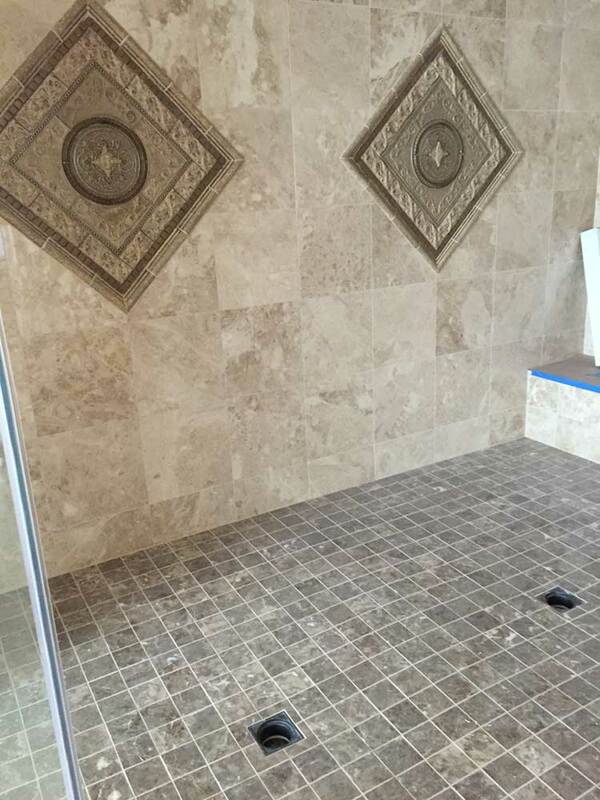 Our seamless fiberglass membranes accept all tile and granites giving the final product a look of elegance. 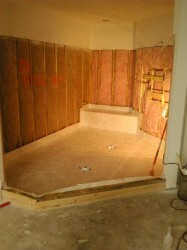 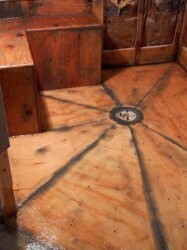 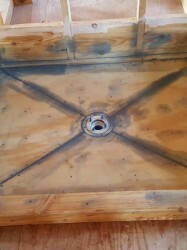 See more projects and in progress construction photos on our Facebook page! 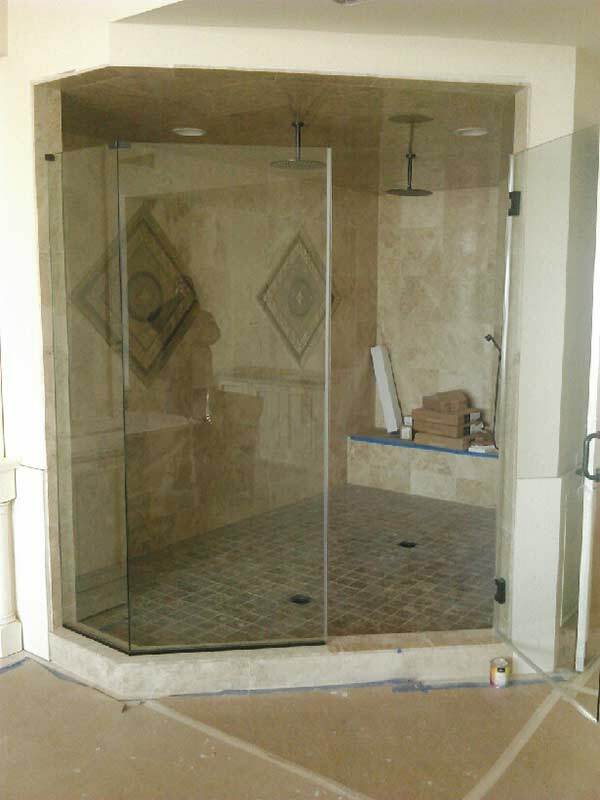 We provide superior quality with outstanding service for commercial and residential clients. 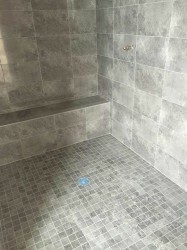 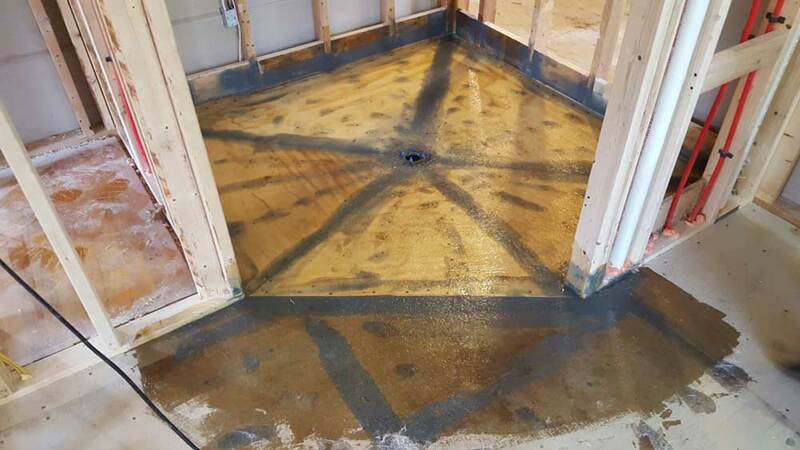 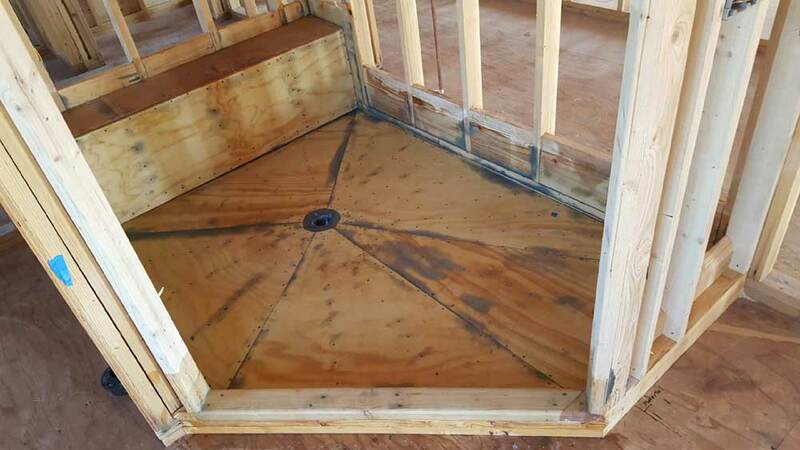 Located in East Rockhill, Pennsylvania, Thomas Percetti Construction, Inc. has been specializing in fiberglass decks and shower pan liners for over two decades and for over three decades in the construction industry. 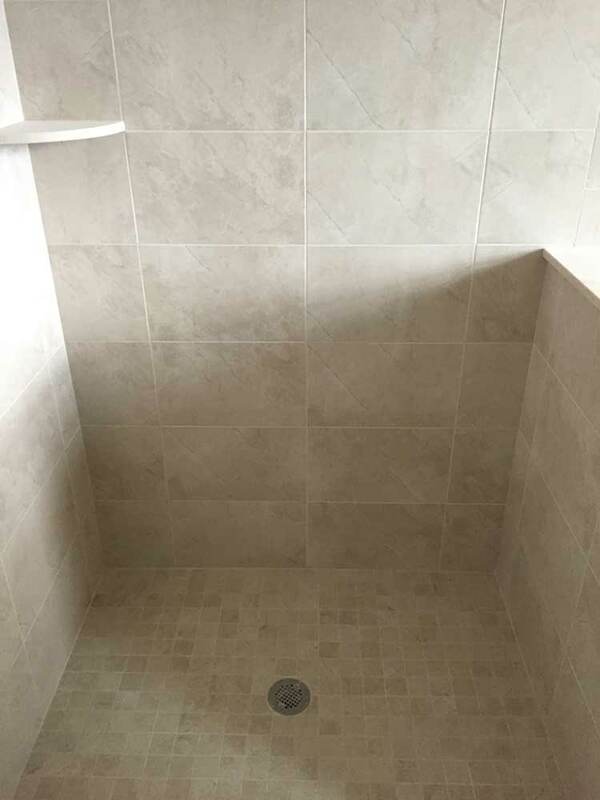 We have been providing superior quality with outstanding service for a wide variety of clients including residential and commercial. We are totally committed to customer satisfaction and welcome the opportunity to work with you.